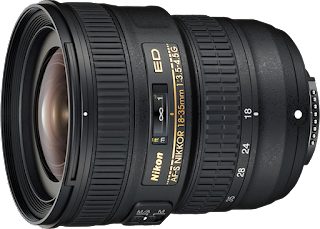 Nikon just announced two new lenses. The long awaited AF-S Nikkor 800mm f/5.6E FL ED VR super tele and an all new AF-S Nikkor 18-35 f/3.5-4.5 wide angle zoom. These new lenses can be used on both FX (full frame) and DX (crop) camera bodies. This is currently the longest lens in the NIKKOR lineup and delivers 800mm of full-frame super-telephoto power with a large maximum aperture of f/5.6 (1200mm equivalent on a DX body). If that isn't enough reach for you, Nikon also includes a specially designed TC800-1.25E ED teleconverter with this lens, giving you a whopping 1000mm (1500mm equivalent on a DX body) without losing too much light. Even with the long reach, Nikon has been able to keep the weight down: the new lens only weighs 4590 gram and is much lighter than the 600mm/4! Lens and TC comes at a hefty price: $17,899.95/€17,129.00 (suggested retail prices) and will be available beginning of April. 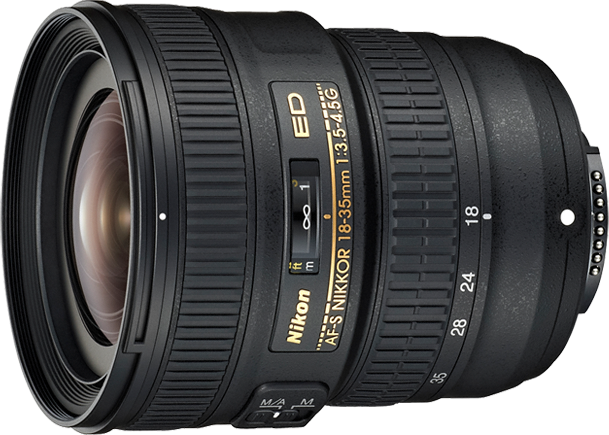 The AF-S NIKKOR 18-35mm f/3.5-4.5G ED is a new wide angle zoom option in the Nikon line-up. With a 18-35mm (27-52.5mm on DX), it offers a much used focal range at a relatively big maximum aperture (varying between f/3.5 and f/4.5). If you don't already own a quality (zoom) lens in this range, or want to improve on your current lens, this new option may be just right for you.